At Parker Knoll, we are very proud of our apprenticeship scheme and the incredible work of the apprentices since we began the programme over 10 years ago. 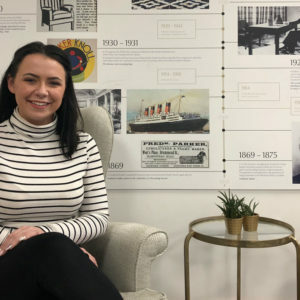 Following on from National Apprenticeship Week, we sat down with Amelia Frogson, our Level 2 Business Administration apprentice. Amelia works in the marketing team as Marketing Administrator. 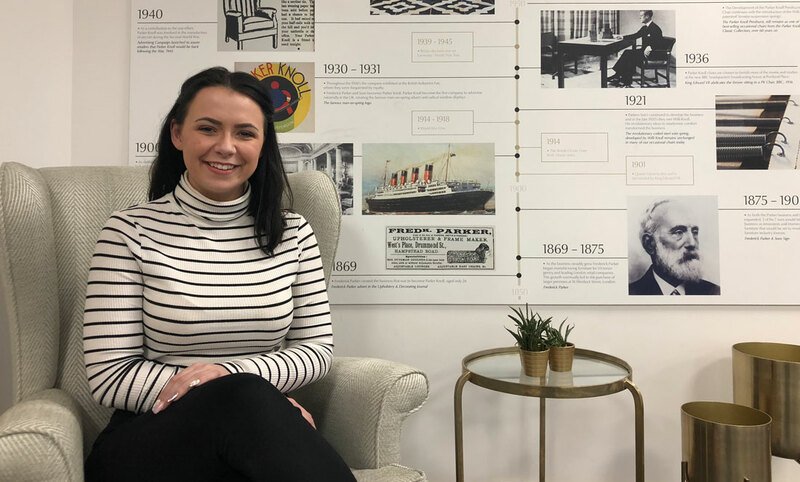 In this week’s blog, we’ve explored what Amelia enjoys most about her apprenticeship at Parker Knoll and how working towards the qualification is positively impacting her career prospects. 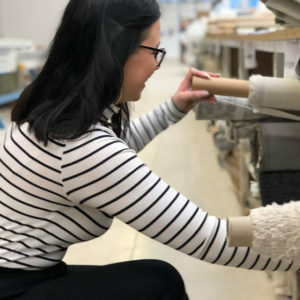 Your career at Parker Knoll began in Quality and Dispatch, what was it about the Marketing Administrator role that made you decide to apply to the Parker Knoll Business Administration apprenticeship? I saw the Business Administration Apprenticeship as the perfect opportunity to progress myself and my personal skills. 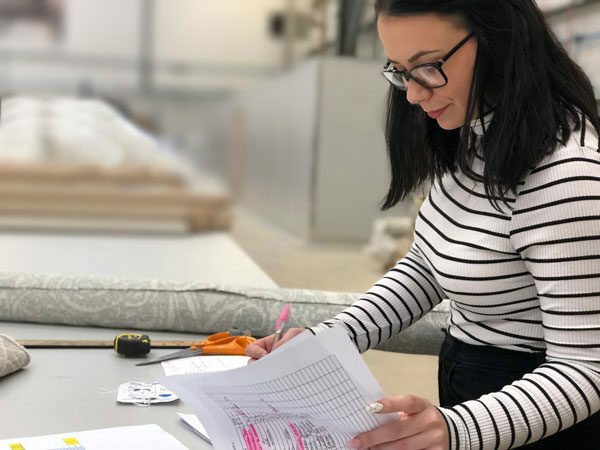 Marketing is a really exciting and fundamental part of growing the Parker Knoll brand having worked in quality and dispatch, I have good understanding of the elements that go into crafting quality British furniture. This apprenticeship will help to boost my prospects and broaden my knowledge and responsibilities within the business. What are your responsibilities as Marketing Administrator, and how do these contribute to your apprenticeship? My job role is so varied which is one of the things that I find so exciting! 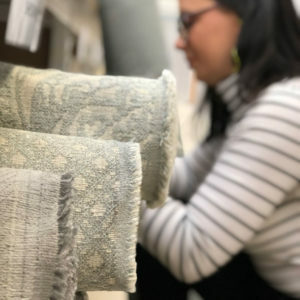 Each day is different, from managing the fabric swatch programme to helping to organise photoshoots and liaising with stores to manage stock levels of marketing materials. We are currently in the process of launching new products and fabrics that we exhibited at the January Furniture Show. I am responsible for ensuring a smooth roll out which is brilliant in terms of experience. The variety of the role also combines well with the requirements of my apprenticeship. Considering your role within the Marketing team, what tasks do you have to complete in order to gain your qualification? The course is based around elements of my job role as Marketing Administrator. Each unit cross references with my day to day experiences in the workplace which I provide evidence and evaluation for, making it easy to see how my apprenticeship is improving my success within my job role. There is a lot to manage at times but it teaches me how to remain organised and prioritise workloads. What would you say that you like most about working at Parker Knoll? It’s really clear to see that the company are keen for young people to engage and progress throughout the business, providing us with opportunities to work our way towards our own personal goals. I work within Design & Development and Marketing team and help is never too far away. Everyone is so supportive and willing to help where they can which is invaluable for my knowledge building and experience. If you’re unsure whether University is for you, or if you just want to challenge yourself and boost your experience within the workplace, I’d definitely recommend an apprenticeship! It’s not just a case of sitting in a classroom, the whole qualification is centred around application and is a good middle ground between gaining practical experience, earning money and getting a qualification. If you’re considering an apprenticeship or would like to find out more about our apprenticeship scheme here at Parker Knoll, keep an eye on the Careers page on our website, or visit gov.uk to find your ideal apprenticeship, and take the first step in furthering your career!